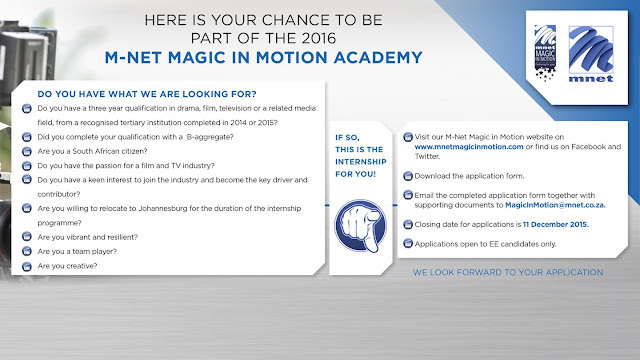 M-NET is very excited to announce that entries to the M-Net Magic in Motion Academy for 2016 is open. Deadline to enter is 11 December 2015. For more information, guidelines and to enter go to their website.